Gummy the toothless werewolf is back with a big appetite, just in time for an all-you-can-eat Thanksgiving feast. He's recovered from his trip to the evil dentist Dr. Sweet Tooth, now hungrier than ever... and with a king complex. He wants to be served. As his attendant for the night, you need to help Gummy satisfy his hunger by feeding him whatever he desires. 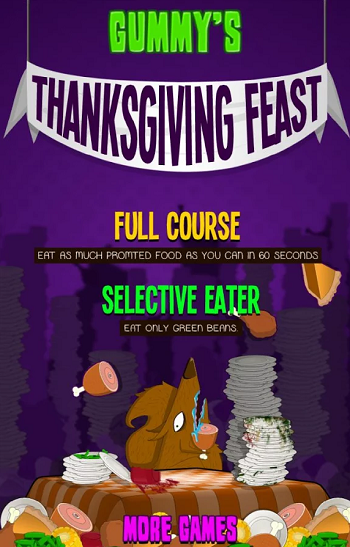 Feed him as much Thanksgiving turkey, ham, green beans, pumpkin pie, cranberry sauce, and corn as you can in 60 seconds in the Full Course mode, or try out the Selective Eater mode and feed him only green beans, being sure to avoid tapping any meat, cranberry sauce, pumpkin pie, or corn. 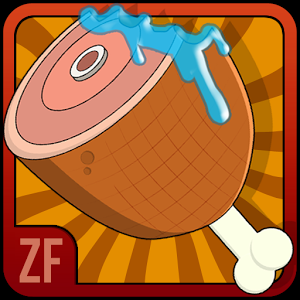 With leadership boards soon to come, players can challenge friends and see who can stuff Gummy with the most Thanksgiving food in 60 seconds, as well as who can click the most vegetarian friendly green beans without tapping any other plates of food. How to Play: both the Full Course and Selective Eater modes feature 5X5 tabletop grids of food on plates. 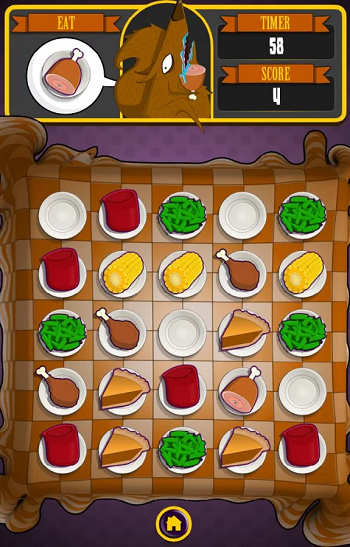 In the Full Course mode of play, players are encouraged to tap the prompted type of Thanksgiving food--turkey drumsticks, ham, green beans, pumpkin pie, cranberry sauce, or corn--as fast as they can in the 60 second time limit. Gummy the werewolf will prompt players on what he wants popped into his mouth with a speech bubble, and the food will wiggle. Selective Eater on the other hand offers the unique challenge of having to click only green beans. 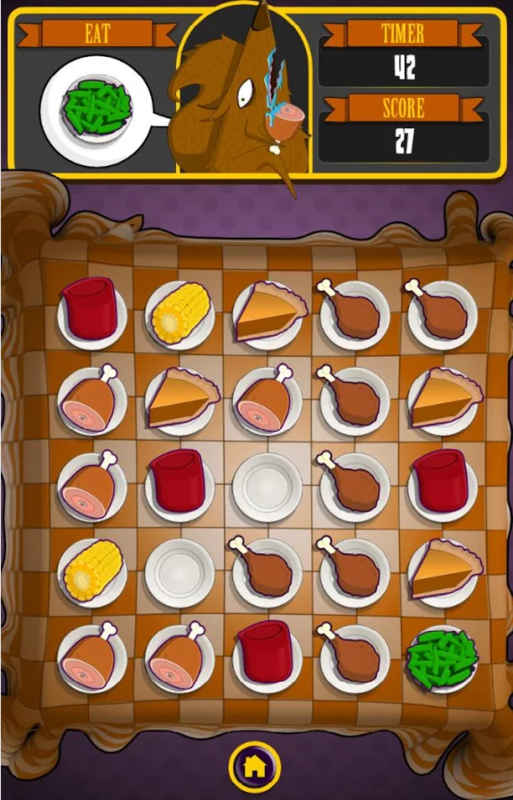 No time limit will be given, but the game will be over if any other type of Thanksgiving food is clicked or if each individual course is not cleared within ten seconds. There are other customers to attend to, after all. No lollygagging. Eat, or beat it. 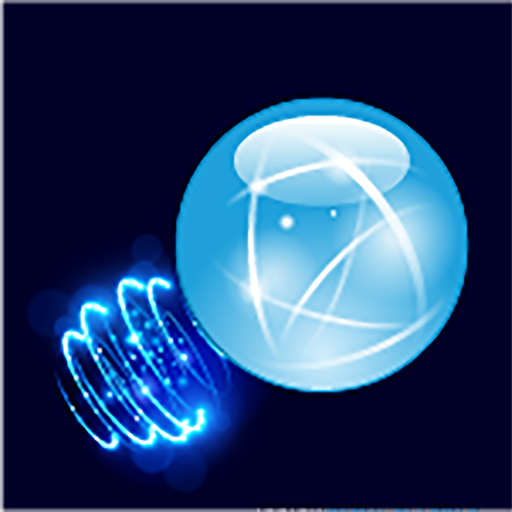 Retry again and again for a better, higher score.